Authorities have released the name of the man arrested on suspicion of killing his girlfriend in Anaheim earlier this week. 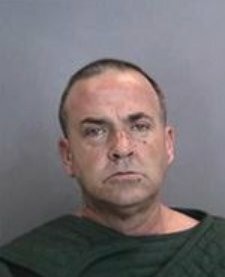 Mark Lawrence Jennings, 46, called 911 Wednesday morning and told authorities he thought he had killed his girlfriend, the Anaheim Police Department said in a Friday news release. Officers found him sitting in the driveway when they responded to the couple’s home on the 800 block of South Cardiff Street. He then allegedly said his girlfriend, 40-year-old Beverly Millard, was probably dead inside. He also told police he had opened a gas line in the house, though the officers found that wasn’t the case. After making entry, authorities indeed found Millard’s body and declared her dead. Officials have not released any details on the condition in which they found her corpse. Detectives have yet to determine a cause of death, but they are declaring the incident a homicide — the first in Anaheim this year. A neighbor of the couple’s previously told KTLA they’d “had problems” for a while. Jennings was being held at the Orange County Jail on $1 million bail, police said. We can match you up with a defense attorney in your area. © 2011-2019 United Reporting. All rights reserved.